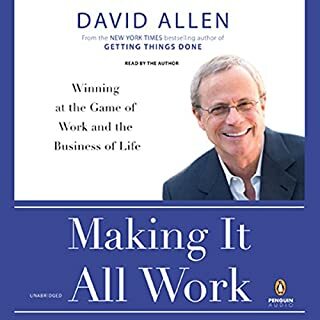 Getting Things Done is David Allen's framework for keeping track of and organizing your projects and tasks. But it's no run-of-the-mill to-do list. Its purpose is to give you a system that you can trust completely and that will gather your ideas, projects, and to-do's in a way that is thorough, actionable, and uncomplicated. 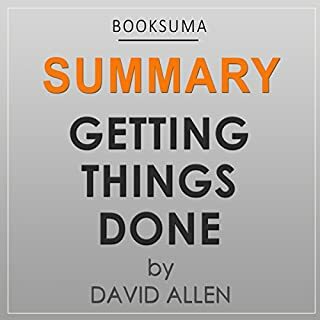 The BookSuma summary of David Allen's Getting Things Done brings you the main takeaways from the book in less than half an hour! Well read and structured and very handy to listen to in order to get an overview of the methodology when reading isn't convenient. 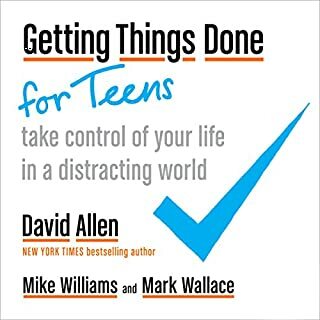 To get the most out of GTD however you need the book with all of the workflow diagrams etc that are included in the print publication that audio obviously does not provide so this is good audiobook when in addition to the print version, not quite as useful without it. I work for a large Acute healthcare provider in the East Midlands in the UK. This book was recommended to me by the Trust Secretary over 4 years ago in November 2012 after he did a training for me and my team one Saturday morning. He said to me that most people would not follow the GTD system, but he was happy to give up his time for the few that would so. I finally read the first version of GTD whilst on honeymoon in September 2016. I was amazed and relieved that all my efforts of trying to get more organised and more productive, which had most all invariably failed, had not been due to my lack of effort or willingness to improve but rather due to not having a trusted system for getting things done. I instantly applied the teachings in the book upon my return to work and feel more relaxed and more productive immediately. 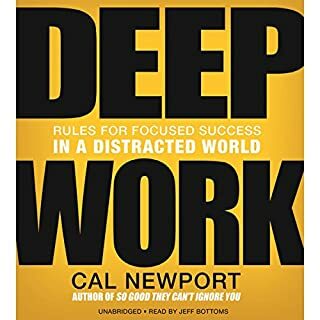 I have also purchased the audio version of the second edition and plan to listen to it on my daily commutes until I have fully implemented the GTD system. This book may well have saved my sanity and career in the healthcare sector. This is a great book for all parents who are working when they feel things are getting on top of them. The only thing you may find is that when listening to the book one must repeat the chapters to understand the principles and techniques required for their own personal circumstances. The GTD methodology is unique for each individual person, as I have come to realise. This alone poses a challenge of organising oneself and the book alone will not give you simple instructions which will fit perfectly. All areas will need to be created by you and once in place, may need to be adapted when different challenges present themselves. The book itself gives a good foundation however and is an essential read. Have already started implementing with Evernote while listening to this audio book and it's fantastic! The examples provided are very clear and useful. Super book and while I have my doubts about how many people implement the systems advocated in their entirety, there is no doubt in my mind that everyone will find something of value within it. Highly recommended a million times! This is one of the books that has impacted my life the most over the last 7 years. 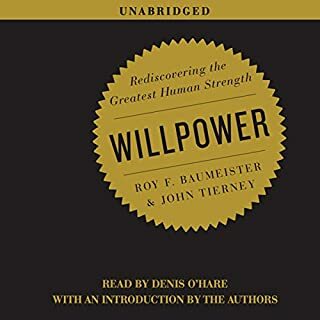 This book may contain awesome information but in my opinion in an audiobook version it sounds like list after list. Wished I had downloaded a sample of the book first and tried to listen to it. This is a great book with lots of very useful and practical details. While some of it is common sense, unfortunately, it's not commonly done - hence the need for a book like this. Like other comments made, this book is very long and the narration very dry. It's best to listen at a faster speed and revisit the topics that are relevant to you at that time. 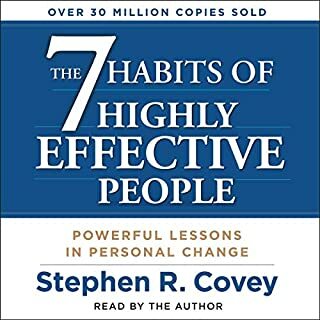 Best self-help audiobook I've heard. Gives fantastic practical tips to becoming organised and productive. About to listen to it again! while listening to this I was gradually putting it into place in my home/work life. now I feel super organised and I have already got stuff done! Yus! GTD finally freed my brain from all the "coulda, shoulda, woulda, but not sure how to" and let me focus on "right now" again because "later" has been captured and will look after itself. Was a good listen at a reasonable pace. 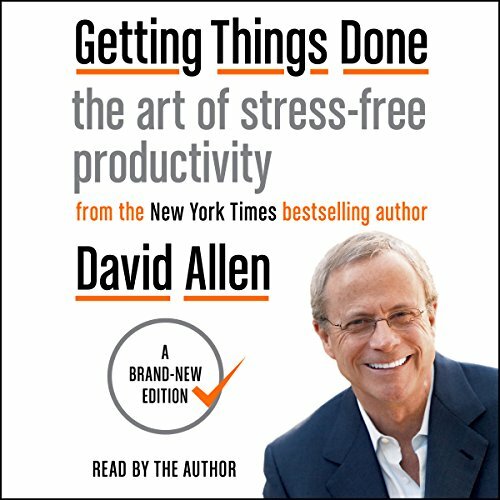 Suggest having the paper or ebook version as a reference once you have listened to the original GTD text. A great book and engaging listen. The chapters are not provided and not ability to jump between. I found this frustrating. This book is a game changer for how I live my life. Mind like water!